ECHAMP has welcomed the report as a positive measure in highlighting the issue of availability of homoeopathic medicines. Read the independent report on the availability of medicinal products and how it affects the end consumer and their choices of healthcare. The European Parliament recently held a meeting to discuss the role of CAM in helping reduce the need for antibiotics. 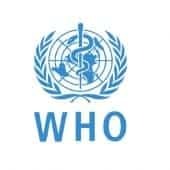 Both the World Health Organisation and the European Commission have identified antimicrobial resistance as a major crisis facing today’s health systems. Read more on the presentations given. Homoeopathy – ECHAMP outlines need for appropriate regulation.